Make a recipe without a single measuring cup. Drop is a Bluetooth-compatible kitchen scale that connects to your iPad— making it a recipe box and kitchen assistant all in one. Baking is most precise when done by weight, instead of volume, and Drop gets the measurements right. Choose a recipe from the app’s vast database and Drop walks you through each step. Put your bowl on the scale, add an ingredient, and Drop tells you when the proper amount is reached. Then Drop automatically resets for the next ingredient. And don’t worry about getting butter or flour on Drop—it’s made from easy-to-clean silicone. Founded through an accelerator program in Dublin, Ireland, Drop is accurate to within a single gram. It changes easily between units (℃ or ℉, grams or ounces, etc. ), and even rescales an entire recipe if you’re low on something. As the app is constantly updated, the recipe collection will keep growing and soon Drop will suggest substitutions if you’re missing an ingredient. Take the stress out of baking, reduce the amount of utensils to clean, and enjoy consistently delicious results with Drop. Hi everyone! 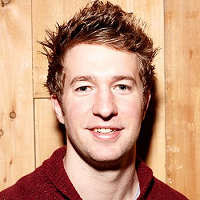 I'm Jack, a co-founder of Drop. 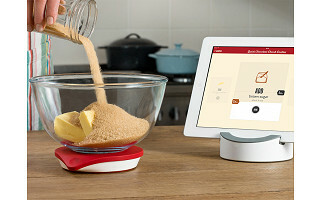 We created our connected kitchen scale and recipe app so you will have an unbeatable combination to help you bake beautiful and delicious creations, regardless of your experience. I'd be happy to answer any questions you have! Really like the idea of this; I have an extensive collection of recipes that I cook with. Is it possible to add my own recipes into the app? Thank you! Hi Jeff, great question. As of now, you cannot upload your own recipes, but the team at Drop is working to add that feature. Jack might be able to provide more details about future plans. And just as a follow up, you can suggest recipes to be included in the app in the meantime. It is an option on the main menu. @jeff I love this but would not want to be limited to the recipes on the app. Is it possible to download my own recipes to use with the scale? Hi Sylvia, that type of functionality is currently in the works. Stay tuned! @Mike Yes, this would seem to be crucial. The device needs to help me make the recipes I already know and love, not force me to use whatever may be supplied. This means that I'll need to key in the ingredient list once, in the way it is listed in my recipe - So 3.5 C of flour needs to be converted into weight, etc. THEN I'll be your biggest fan. Hi Darell, I have no doubt the Drop team will be taking suggestions like these back with them as they further improve their scale! Following up with a similar question to Jeff what is the source for recipes? Hi Steve, thanks for the question. Upon seeing the Baked Cinnamon Sugar Mini Doughnuts and the Chocolate Peanut Butter Brownies, my first guess would be heaven. But seriously, I don't think there is one source for the recipes. They seem to be curated from a number of different places. I'll let Jack provide more details. Hi Steve, at the moment the majority of the recipes in the Drop Kitchen App originate from our own test kitchen. However, we currently have recipes from Good Housekeeping, Food52 and a number of food blogs. We are actively growing the number of recipe partners we work with and are open to suggestions - what are your favourite sources? @Jack CANT you just use your own recipe and use the device as a traditional scale? It won't know what you are adding but as longer as the cook is following the recipe it should be able to help with the cumulative calculation ? Hi Brian, you can indeed. Just tap the scale feature and the iPad will display what is being weighed. Consider checking out the "Oh she Glows" blog/website for awesome recipes that are allergy friendly and vegan. Not a bad recipe in the bunch!! "The spunky coconut" is a good one too. Lots of people have food sensitivities now a days... Allergy friendly substitutions for things like wheat, dairy and eggs are so helpful. Sorry... I meant "@Jack", not @Brian. Very cool product! How about Epicurious and Food and Wine as source for recipes? Hi Tom, great suggestions. I'm sure Jack and co. will take those back with them. Are there any plans for an Android app. I would order one right now for my wife, who loves to cook and has hundreds of recipes but all the tablets around our house are Android devices. Hi David, I was wondering the same thing, and sure enough the team at Drop is working on an Android app as we speak. Stay tuned! Hi David, an Android app is definitely on our roadmap but it's currently too soon for us to announce any dates. If you are interested, please sign up to our mailing list or keep an eye on twitter for updates! @Jack This looks like a really awesome product! While you're working on an Android app, I hope you're doing a Windows version too! Having the opportunity to connect the scale with either my Windows tablet or laptop would make it worthwhile to me. Thanks! @Jack I would like to see a Windows app! I have a Microsoft Surface Pro that I use as a tablet and Laptop. Move it up the list of priorities please..
Hi! Does this only work with iPad? What about an iPhone or Kindle Fire? Hi Sandra, as of now, yes it is only functional with an iPad but further functionality including with an iPhone is under development. Hi @Sandra , as Mike mentioned, an iPhone app is under development but we currently have no plans for a Kindle Fire version. Thanks! I'd buy this in a second if it worked with Android. Are you working on an Android app? I am not going to buy an Apple device. Hi Scott, fear not, the team at Drop is working an Android app. Stay tuned! Hi Scott, as I explained to David above, an Android app is definitely on our roadmap but it's currently too soon for us to announce any dates. If you are interested, please sign up to our mailing list or keep an eye on twitter for updates! @Jack Sorry if I'm lame; but I can't figure out how to "sign up to our mailing list". I see no links. Hi @Scott, unfortunately I can't add links to a comment here but if you web search for 'drop kitchen' , an option to sign up for our mailing list should be the first thing you see when you land on our website. Thanks! Can you explain more about the variety of recipes? Is this only for desserts? Hi @Scott , thanks for the question! Recipes in the Drop Kitchen App are primarily centered around baking, however this includes savory as well as sweet - for example there are recipes for breads, pretzels, crackers etc. but we also have recipes for meatballs, pizza dough, gratin, scones, biscuits...! If you have time, do try the app, it's free from the App Store and you can browse all current recipes without the scale itself. Hi @Susie , there will definitely not be an additional cost for you when the recipe creation feature is available. Access to it will be available through a normal app update. In the meantime, please feel free to suggest recipes and we will add them to our test baking list! @Jack ok I just places my order. There are some favorite family recipes that I make all the time during the holidays that would be great to use the scale. I will have to find some time to send them to you. what is the best way to do that? what is the app. I tried to find it under drop but it wasn't there? Hi Susie, the app can be downloaded through the Apple Store to your iPad. My guess is that it does not adjust recipes for altitude? Those of us in Colorado would need to add our own recipes if that is not an option for baked goods. The ability to add recipes would be extremely helpful. Interesting product. Hi @Anne , great question! Believe it or not, we've had many conversations about this very topic - that's how eager we are for people to get great results no matter where the are. Although we currently don't compensate for altitude, it's on our radar (!) and we hope give it more thought at some point in the future. In your experience, do you need to make many adjustments? Does Drop also function as a stand-alone scale, or must it be used with the recipes? @Ali Hi Ali, yup - Drop functions as a normal scale albeit with the iPad to serve as a display. Drop doesn't have it's own display. The nice thing about this is that we can add features to the basic scale though app updates! Hi Jack my name is Marlene. I love the concept of this, but, as with others, I would love the ability to add my own recipes. I also live in USA and use the cup measure.....does it also show cups etc. Love it! I am truly excited about this device as I do a lot of baking and cooking. I live full time in an RV so space is limited and not needing to have a bunch of measuring devices on hand would be a great space saver. However, as others have said, I will need to wait for the functionality to be improved - need to have an android compatible app, ability to upload my own recipes, and ability to use as an independent measuring device when not using a recipe. Weight is a much more accurate measure especially when baking (i.e., a cup of flour can hold anywhere from 115g to 130g depending on how packed your flour is and whether or not it is sifted, etc. Awesome idea. Is there any way that I can sign up to be informed when the functionality of this item is improved? Hi Chris, thanks for the kind words. You can sign up for the Drop mailing list and follow their updates on Twitter! @Mike If the recipe uses cups, how do you know what the weight would be? I love kitchen & techie gadgets! If I had an iPad I would get one of these. To bad they don't work with Android tablets. It would be nice if it worked with cellphones too. Hi Mandy, not to worry, the folks at Drop are already addressing those desires! Are there any vegan recipes on the device? Hi @Barbara , yes indeed - we have a growing number of vegan recipes in the Drop Kitchen App and excited by how well Drop is suited to making some of the more challenging vegan recipes easier to do. The app is free to download from the App Store and you can browse recipes without the scale. If there is a recipe that you'd love to see on there, please don't hesitate to let me know! First off, I think I would buy anything that this beautiful Irish man would try to sell me. Secondly, this is a genius idea, and I can't wait to own it! I am a bit worried about how precise the scale is. I am a baker, and when recipes call for, say 1/8 tsp. of baking soda, I'm worried that it won't be accurate enough. @Kate best question so far ! Go on outta that @Kate ! Good question indeed - small amounts are definitely a challenge in baking, especially when a kitchen scale needs to be able to also measure large amounts too. Your example is an interesting one - 1/8 tsp (US) of baking soda is approximately 1.33g (0.04oz), and although Drop can weigh as little as 1g, we believe it is safer to give very small amounts (below 3g) - of raising agents in particular - in volume rather than weight. We are big believers in baking by weight, but the measuring spoon has it's place too! Hope this answers your question? Guess I could use my phone once you get Android ready but would prefer to use the larger screen of my Windows Surface Pro 3. Ditto remarks on uploading recipes and just weighing. Hi @Kate, no plans for a Windows version yet but not ruling any platform out! Adding your own recipes is something we are working on and are very excited about. Thanks for your interest! Where did you get the device holding the iPad? It looks like the iPad holder is part of a bluetooth speaker we got as a gift from Williams-Sonoma. You can buy the holder separately there, too. You got it @Thomas ! Looks like a great product and I can't wait to purchase one, or more! I know you're in development with other recipes sites to add content, but if you could identify the top three (Hopefully Allrecipes.com will be one) and add them to your SW program first, I know I would immediately purchase your product, and I 'm sure others would too. How long do you think it will take you to allow the end user the ability to add their own, personalized recipes? Thanks! This sounds like a wonderfull addition to my kitchen as I already us my iPad as my cookbook. However, I do a lot of low-carb cooking and baking, do you have recipes for that type of cooking? Hi @Alice , thanks for the question - you'll be pleased to know that Drop currently focuses on baked goods - all things sweet and savory, including special diets. There are some more general cooking-related recipes in there and this is an area we are interested in growing in the near future. I would definitely recommend you have a look around the Drop Kitchen App (free on the App Store), especially if you already use your iPad in the kitchen, I hope you'll be pleasantly suprised at how well it'll fit into kitchen! 1)What is the capacity of the scale? 2)What is the resolution of the scale? 3) Can it be calibrated? Hi @Robert , very glad you are interested! The capacity of the scale is 6kg (13 lbs). The resolution is currently 1g. The scale is calibrated at the factory (to a much higher standard than other domestic kitchen scales). Home re-calibration would be difficult (you need calibrated weights) and something unlikely to be necessary due the Drop's ability to compensate for factors that may affect accuracy. However, if absolutely necessary, the Drop scale can indeed be re-calibrated. Looks great! One the verge of ordering one! Can the scale be used in tandem with the iPad app to just weigh individual ingredients (or other stuff) a la carte (e.g., following some other recipe or just weighing a bowl of cherries)? Hi Thomas, yes it can. Simply tap the scale feature and it will display what you are weighing on your iPad. @Thomas, you can weigh whatever you like with the Drop scale and Kitchen App as long as it's not over 6kg (13 lbs) ! Is this only compatible with an ipad? Hi Mary Jo, for right now, yes, the scale is only compatible with an iPad. How do I sign up on your mailing list? What's the name of the ap? Hi @Katherine , you can sign up for our mailing list at our website (web search for Drop Kitchen). The name of the app is Drop Kitchen App , available for free from the App Store. Thanks! Why don't you check with John Becker (my sister's nephew and the son of Ethan Becker, all of the Joy of Cooking family.) They just recently came out with a wonderful App -- a Joy of Cooking for the IPad and IPhone. The way the recipes are set up with work very well with this, I think. I only have Android devices so can't order this yet, but I wondered if there is a way to share recipes if your friends love what you cooked. Would they need to buy the device or is there a way to email or print off a recipe? Hi Susan, great question. You can copy the entire list of ingredients for the recipe from the app and email or print them. Hi @Susan, great question. We certainly have plans to allow you to share recipes with other Drop users in the near future, however, a lot of the benefits of baking with Drop would be lost if the recipes are shared outside of the Drop Kitchen App. The good thing is that the app is free so anyone can look at full recipes without the Drop Kitchen Scale. Just curious if I can add my own recipes to the program? Hi @Bob , thanks for your interest! Recipes are added weekly to the Drop Kitchen App and we are delighted to get suggestions for recipe that you would like to see in there. We are currently working on new features to allow you to add your own recipes to the app (that will perform just like our recipes do) . If you'd like to know when this feature will be available, please sign up to our mailing list (just search for Drop Kitchen) or keep an eye on our Twitter or Facebook page for updates. Thanks! Hi @Tamsin , thanks for signing up - by doing so, you'll be the first to know of any major new features to the Drop Kitchen App. I'd definitely recommend trying out the app (free from the App Store), there is very deep integration between the scale and the app (via Bluetooth) and I hope you'll enjoy seeing our approach in rethinking the recipe! We are currently working away on features to allow you to create and store your own recipes but it's too soon to announce any dates just yet. If you've ever seen the Key Ingredient recipe reader it's pretty cool. I go to their website, type in my recipes, and magic...bluetooth magic that is...it updates on my recipe reader. You might look at it for some ideas to go with your own. Please let us know when you come out with the app! My iPad is screaming for the Drop Kitchen Scale!! Thank you!!! Hi Karen, I'm sure Drop is open to any and all suggestions. I know they are already working on a feature that allows users to upload their own recipes. In the meantime, you can suggest any you have already. If you have an iPad, the app is already available and waiting for you to download! @Jack Am unable to locate the Drop Kitchen App. How is it listed? I understand the recipe orientation of the device, but I'd like to see a mode that lets me total nutritional information for whatever it is that I'm weighing (that is, something not recipe driven). This would be especially useful for calculating carbs for diabetics, calories for dieters, etc. Hi David, thanks for the suggestions. I have no doubt Jack and co. will take this take this back with them as they continue to improve Drop. Hi Janette, don't worry the Drop team is working on an Android version so stay tuned! @Janette (I cut myself off there) ... first to know when it's available! Thanks Janette. Will the Drop work with a MacBook Air? Hi @Pat , thanks for your interest. We currently have no plans to make the Drop Kitchen App available for any non-mobile platform, which would include any Mac OS device such as the MacBook Air. I will take note of this though for future reference, thank-you. So the app will come with the scale? Hi @cynthia , the Drop Kitchen App is available for free from the App Store, the Drop Kitchen Scale costs $99.95 from here on The Grommet, our website, Apple online and your nearest Apple store. I love the idea of this product!!! Along with what others have said, I too, would want to be able to put in my own recipes. I'm wondering if you include nutritional information with every recipe. I would especially love weight watchers "points plus" values for each recipe. Those things would make it perfect!!! Hi @Kathy , we currently don't include nutritional information with every recipe, though we definitely plan to. Great idea to work in the likes of Weight Watchers points - I'll add it to our list of things to investigate, thanks! Sorry for the stupid question, but my wife has been looking for a stove for ages.... you baked the cookie in. Can you please let me know what is the name or where can I find it? Hi @henrik , I'm happy to try and answer but I'm not sure what oven you are referring to - is it the oven in the video on this page? I love to bake, but recipes always say, "Add softened butter and sugar; beat until fluffy. Add 1 egg at a time, beating after addition", etc. So, how do I follow these steps in coordination with the scale? Add an item, carry the bowl to the mixer, mix, carry it back to the scale? Won't this mess up the memory of where it was before removing it? And, do the (especially baking) recipes go in the standard order of adding ingredients, as books do? I am DROOLING at the possibility of having this, but need baking answers. ~Thanks! Hi @Mary , great question! We have developed a digital recipe format that streamlines recipes for use with the Drop Kitchen Scale but also respects the many common patterns present in recipes such as the butter and sugar example you gave. The best way for you to get a feel for this is to download the app onto your iPad (free from the app store). Even if you don't yet have the scale, you will be able to see if the app would suit your needs. Make a recipe without a single measuring cup. 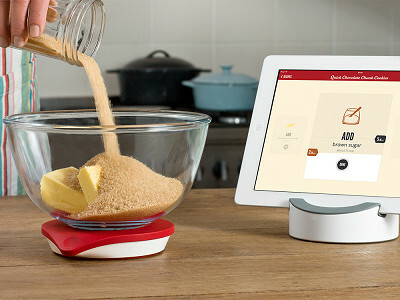 Drop is a Bluetooth-compatible kitchen scale that connects to your iPad— making it a recipe box and kitchen assistant all in one. Baking is most precise when done by weight, instead of volume, and Drop gets the measurements right. Choose a recipe from the app’s vast database and Drop walks you through each step. Put your bowl on the scale, add an ingredient, and Drop tells you when the proper amount is reached. Then Drop automatically resets for the next ingredient. And don’t worry about getting butter or flour on Drop—it’s made from easy-to-clean silicone. Founded through an accelerator program in Dublin, Ireland, Drop is accurate to within a single gram. It changes easily between units (℃ or ℉, grams or ounces, etc. ), and even rescales an entire recipe if you’re low on something. As the app is constantly updated, the recipe collection will keep growing and soon Drop will suggest substitutions if you’re missing an ingredient.